Antique Restoration. 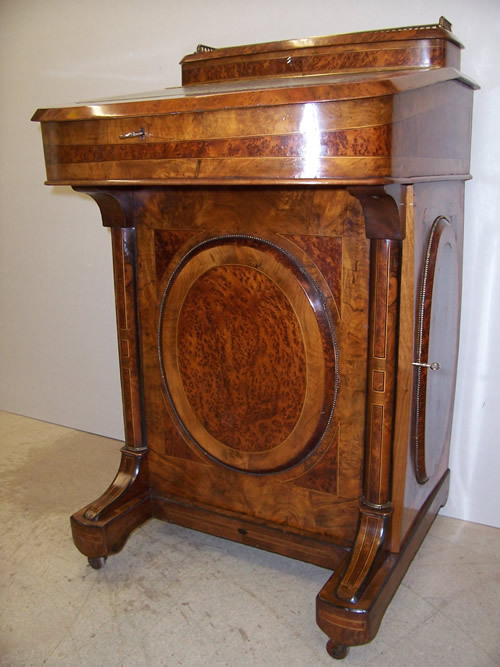 Amercian Walnut Collectors Cabinet Size: 26'' x 14 1/4'' x11 1/4'' The upper 4 drawer section is a piece from the 1920s with a locking feature housed in the L/H side of the carcase which when the key is turned in the second drawer locks all 4 drawers together. The drawer sides & bottoms are made of American poplar dovetailed together. 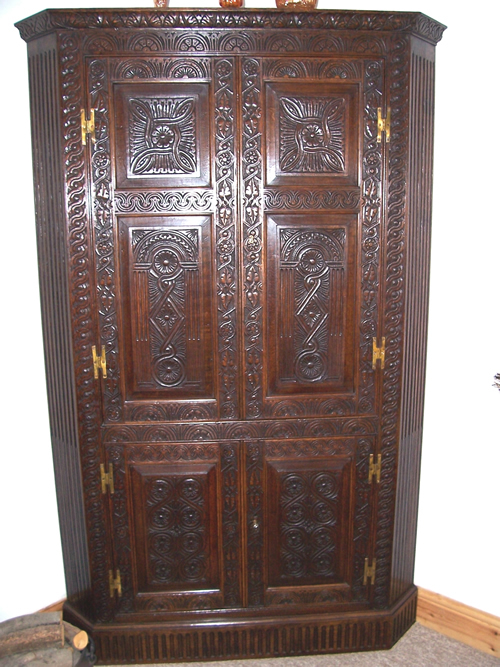 The design of the drawer runners & the style of the original brass plate handles are taken from the early 18th century. 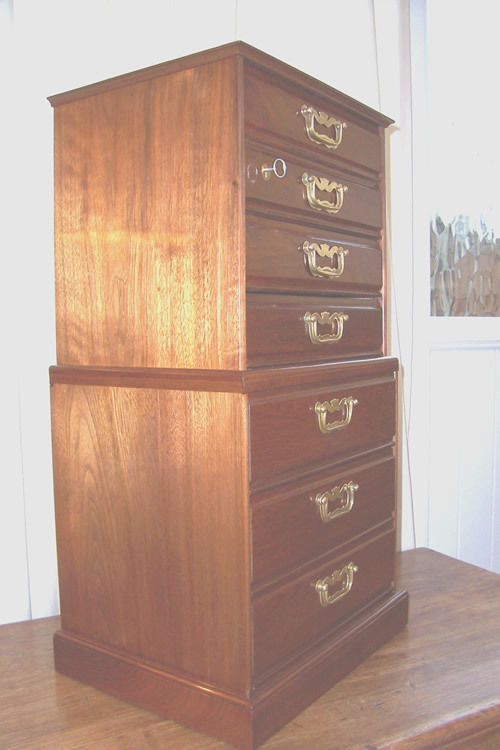 The lower 3 drawer base section i've made to match in re-claimed timber of the same species. 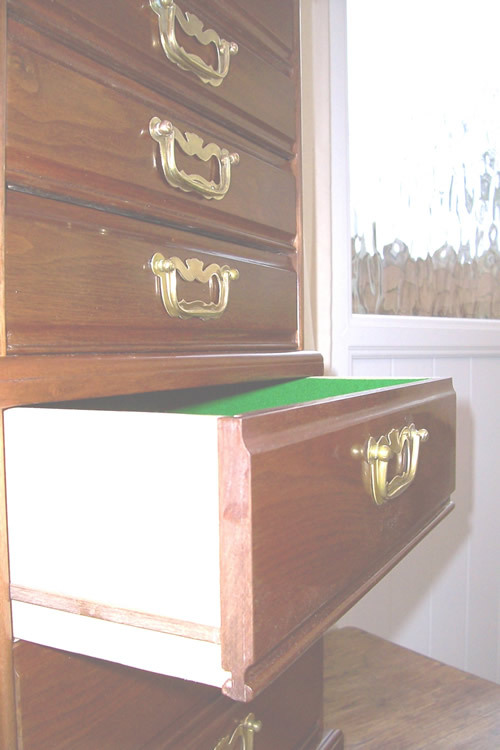 All drawers have been lined out in top quility green baize at the clients request as she will be using it as a sewing cabinet. 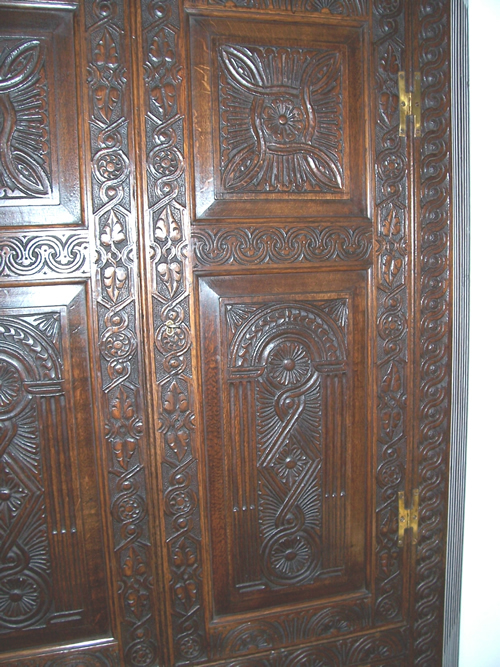 The handles have been copied to match by Marshall Brass of Foulsham Norfolk. 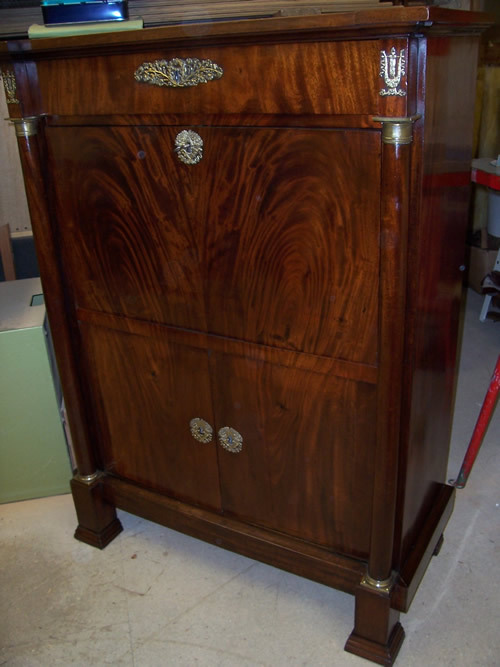 A restored Regency Coromandel wood & Satinwood Bonheur du jour. Most of the inlaid brass has been out of the cabinet & re-laid. There were several pieces missing which have been replaced. The internal sliding writing surface was sticking, this was taken out of the carcase by removing the back, easing & cleaning the slides & re-assembling it. 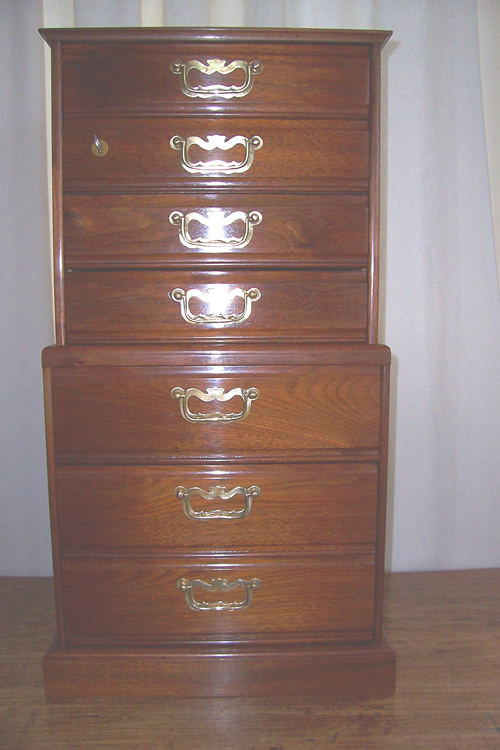 The main drawer has had work carried out to repair the splits in the Oak drawer bottom. All the brass has been cleaned & laquered. All of the polish work also cleaned & waxed.